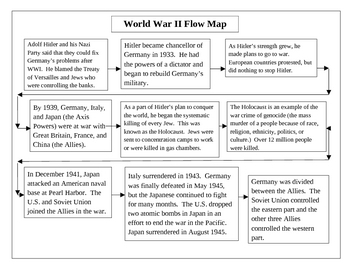 This a flow map (timeline) of the major events of World War II. You could have the students copy the flow map, or you could cut it into puzzle pieces and have the students work together to put the events in order from first to last. I used this in my sixth grade social studies class. However, I'm sure it would be appropriate for nearly all grades studying WWII.